It features scenic design by David Korins, costume design by Paul Tazewell, lighting design by Howell Binkley, sound design by Nevin Steinberg, hair and wig design by Charles G. LaPointe and casting by Telsey + Company, Bethany Knox, CSA. The musical is produced by Jeffrey Seller, Sander Jacobs, Jill Furman and The Public Theater. 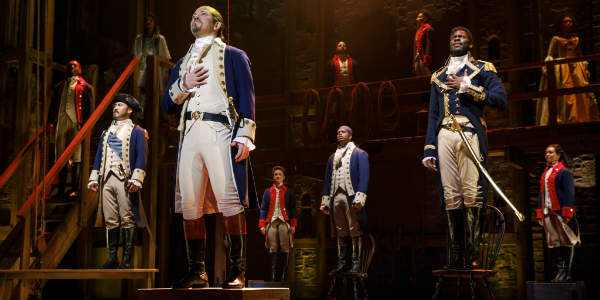 The Hamilton recording received a Grammy® for Best Musical Theater Album in 2016. 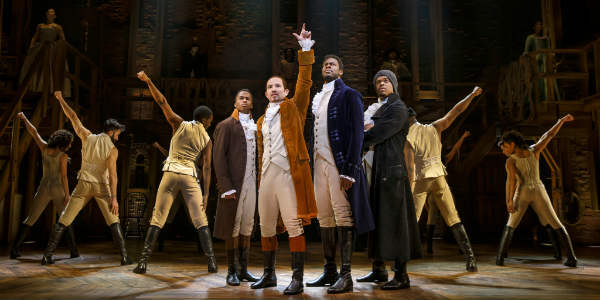 One of the hottest shows coming to the Dr. Phillips Center for the Performing Arts is the FAIRWINDS Broadway in Orlando touring production of the hit musical HAMILTON, and we have learned the single ticket on sale date is November 16, 2018, at 9am. 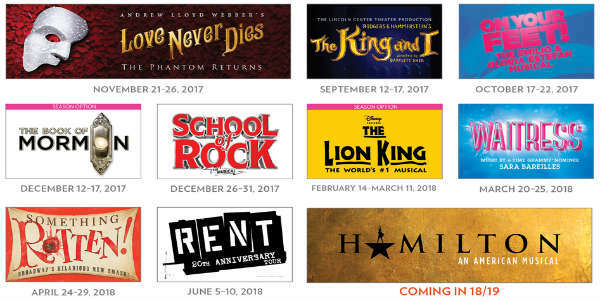 The Dr. Phillips Center for the Performing Arts has announced the upcoming line-up of shows for the 2017-2018 Broadway in Orlando season, as well as giving us a peek at one of the titles coming during the 2018-2019 season. The 2017-2018 season launches with the acclaimed production of Rodgers & Hammerstein’s The King and I, followed by the celebrated revival of On Your Feet!, the true story of Emilio and Gloria Estefan.